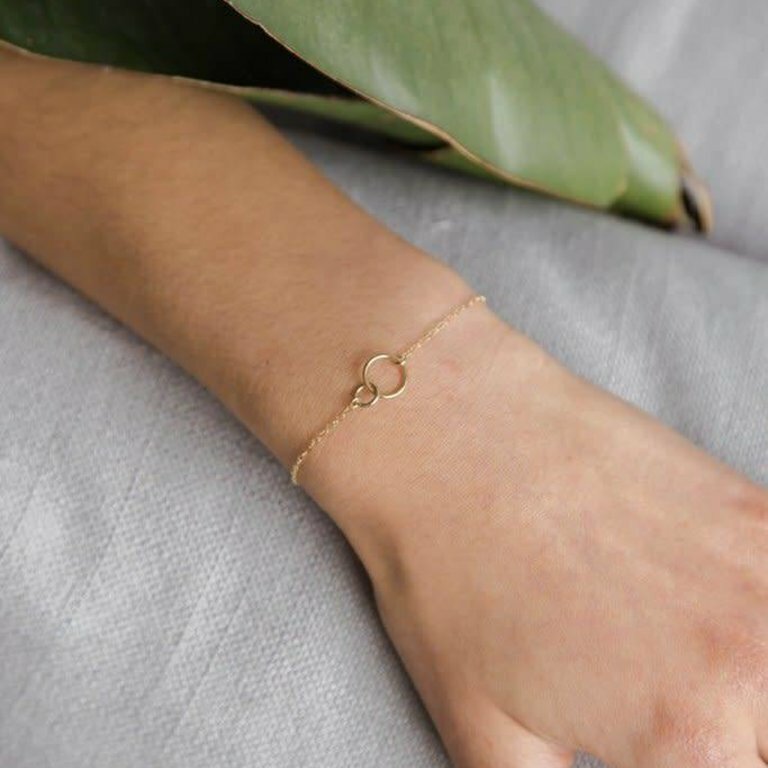 This is a dainty + delicate piece. 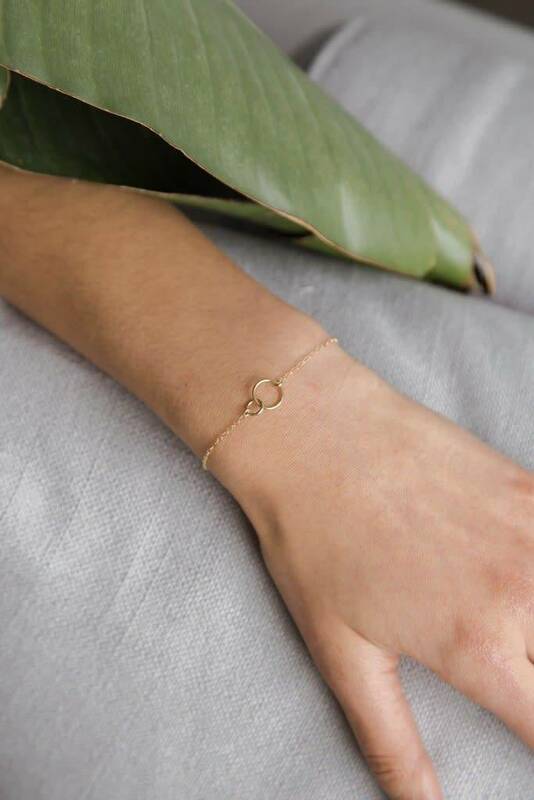 Tiny links measure 1/2" wide and are attached the most delicate chain. Bracelet is adjustable from 6.5 - 7". This piece is handmade, so each piece will be unique and may vary slightly from what is pictured. Gorgeous translucent Clear Crystal Druzy gems. This picture does not do justice to the glow of these earrings. These are about 3 inches in Length. These tiny studs are great for multiple piercings - but also great all on their own. Comes with small metal clutches. 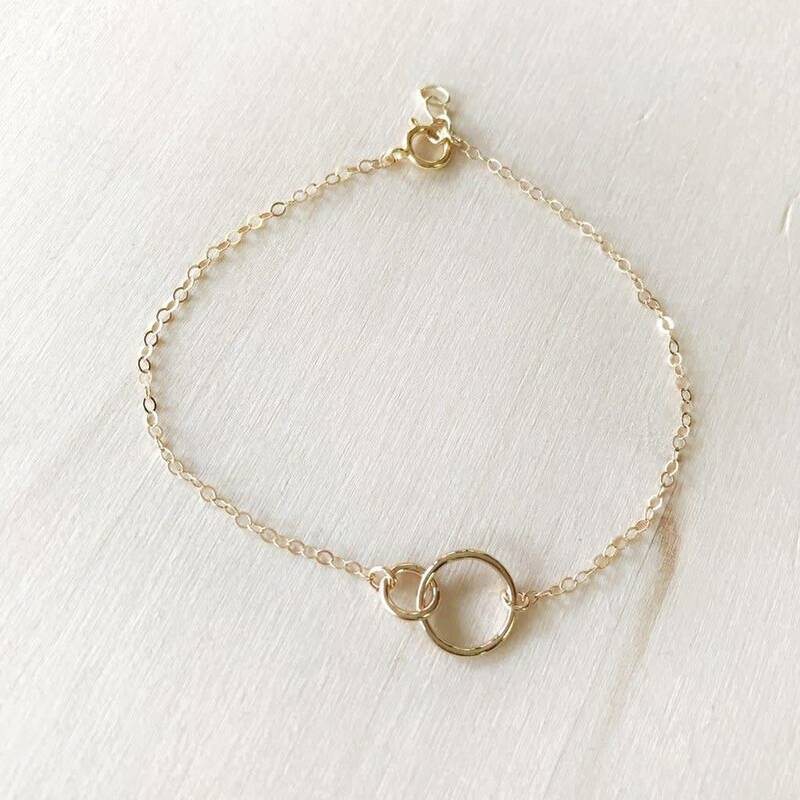 This piece of jewelry is handmade, so each piece will be unique and may vary slightly from what is pictured.